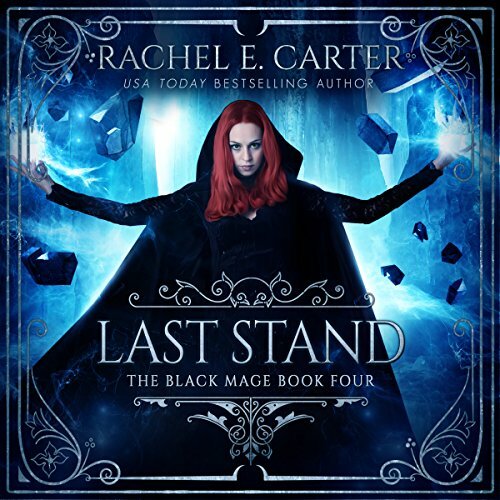 Witness the epic conclusion of The Black Mage series, and see just how far one girl will go to save her kingdom and the boy she loves - even when that boy has become the enemy. At some point in this book, I had to stop listening. It was really painful to hear Riyah inner pain and trouble. She was really believable as a character and while I keep hoping and hoping for a happy end I was so afraid it would not come. I am glad this book is over and my heart can rest. I went through the 4 book in a week. Going through the first 2 you wouldn't see this book coming at all. If i was honest, I would have preferred to stop at book 2. I am glad I could see Riyah grow as a character in book 3 and 4. But the fairy tale lover in me find this story too painful. Not something you see in young adult book often. If you looking for something similar to court of thorns and roses.... this is the series. This was my favorite book of the four. The character matured and develop so much for very powerful end! Great story overall. Fantastic narrator! The narrator is superb! Easy to listen to and follow along! So I really enjoyed this book for the most part but I just had such a hard time getting through it unlike the other ones in the series which I couldn’t put down. Plus some spousal abuse that was just brushed aside like it was nothing personally just made me feel uncomfortable. I know what the situation was but it just made me feel icky and left me with a bad taste in my mouth. I almost stopped reading but decided to go ahead and push through. Well the abuse was pretty much just looked over and easily forgiven because the situation was understood as to why it occurred. Once again, it just left me feeling icky because of justifying it. I really didn’t even want a happily ever after in this book because of it. I really hate going on about it because the overall story, series, and conclusion is really good but it is the reason for four stars instead of five. I hate being “that person” but I just couldn’t shake that off unfortunately and it just out a dark shadow on over all the good parts on it for me. most books about 99% of them are predictive in what will happen next. this is one book in a small list I have read or listened to that surprised me. this book did it not just once but several times. the ending was no surprise though. I enjoyed the entire series. The 4 nook series is captivating and action packed. although it is a romance novel I still enjoyed it. I was really disappointed with the narrator's monotonous way of delivering the story. I had loved the first book and liked the second and third, but the storyline of this fourth book was unrealistic in my view and at several points felt drawn out.